Virtually nothing is known about how the 3DS will handle its new eShop apart from that it will eventually offer a Virtual Console for Game Boy and Game Boy Color software, and in New York City and Amsterdam this past Wednesday Nintendo Life was able to test out a couple of games confirmed for Shop shelves: Super Mario Land on the ol' monochrome Brick Boy as well as the Color DX version of The Legend of Zelda: Link's Awakening. All of the action played out on the top screen with the light indicator for 3D use darkened, meaning the stereoscopic features of the handheld were disabled. Nintendo has noted before that certain classic games may be remastered to take advantage of the 3D effect, which seemed to confirm our suspicions that if they are to do this then such software will likely come with a premium price point. Down below was displayed a simple button layout. Painfully apparent from the start was just how blurry the games looked on the 3DS's larger screen. There was no option during the demo to switch the image from stretched to the games' original resolution like you can on the Game Boy Advance, which will be troublesome for purists if this is how the service eventually rolls out. Given Nintendo's history of backwards compatibility for its handhelds, our money is on a ratio-adjusting feature to eventually be implemented because, frankly, it would be incredibly stupid not to do so. Apart from that, the games played as you'd expect them to: we noticed no other emulation issues in our short time with each, so Mario Land played just as bizarrely as ever and Link swung his sword in the usual dazzling manner. Players are given the choice of using either the D-Pad or Circle Pad interchangeably, which is welcome since the D-Pad is situated so low as to be slightly uncomfortable during prolonged use. Of course, then you're faced with the issue of playing digitally controlled games using analog input, which always tends to be a little slippery. However, neither of the demo sections (the first stage of Mario Land and the first dungeon of Link's Awakening) were particularly demanding as far as nimble fingers goes, so it wasn't much of a problem in these cases. We were unable to test whether the save-on-exit game suspension feature will be intact in the service's leap from Wii to 3DS, nor were we able to find out about any eventual pricing plans. 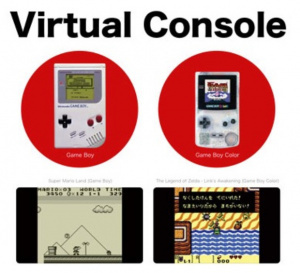 All in all the demos on offer came across mostly as proofs of concept that the 3DS in fact will have Virtual Console capabilities and not a showcase of its abilities to do so. With so many key features and options missing from the demo units, we really hope that this isn't indicative of the final execution for the service on 3DS. But with so much unknown about the Virtual Console, or really anything related to the eShop, it's tough to pass judgment either way: if these missing features are incorporated properly and the games priced competitively then this could be a real winner for the new handheld, but if these demonstrations are indicative of the service's final offerings and pricing is out of whack then the portable Virtual Console will be a beacon of missed potential. It was bizarre? Its as normal as Super Mario Bros. I wonder if they will have N64 games and other home console games. @Bass X0: When was the last time you actually played Mario Land? I called it "bizarre" because it does stuff that no other Mario game has even tried to incorporate since, like exploding turtle shells and hyper-bouncy fireballs. Plus the physics are a little wacky compared to other ones. I'll be playing DS games on my 3DS no doubt. How uncomfortable IS the d-pad on the 3ds (a slight worry there)?? I'm hoping for a price range of $2-3 for GB and $5 for GBC, but less would also be good. Actually, what I really want is for Nintendo to put NES and SNES games on the portable VC, and for them to be copiable (better word?) from the Wii if you've already bought them. I know it seems unlikely, but it would definitely boost my VC purchases if I could take the games with me OR play them at home all for one low, low price. I want this thing sooo bad. @8: Grab a DS and try to imagine it's in the blank spot on the left below where the D-Pad currently is. Sweet I aslo remember seeing a DK game on the shop preview back in sept. I wonder if I was DKL or DK94? Maybe, since the 3DS is launched this year, Nintendo will be more open to suggestions on how to improve the Virtual Console. This is what I was concerned about way back when the screen resolution was confirmed at E3: there's just no way to show old GB games on this new screen without either having a tiny picture or blurring and scaling horribly. I hope they'll at least let us play it GB Micro style without scaling, but we'll see. @Otaku: It might have been hinting Donkey Kong '94, but I think the "Donkey Kong" section is mostly about Mario vs. Donkey Kong: Minis March Again! I am so hyped about 3DS Virtual Console! I especially like how some games will be in 3D. I hope more systems are added, like the Game Gear, Lynx, and Turbo Express. Maybe Neo Geo Pocket Color and Game Boy Advance? I am already making a list of GB/C games i want to buy again. Super Mario Land is decent, imo, though I admit it's got its flaws (tiny sprites). I did like how it played like a shmup in a couple of levels (pretty unique aspect of the series if you ask me). ...I might actually think about getting Link's Awakening....hope its 3D too, been wondering what a classic Zelda game would look like. Honestly what are the chances of Hamtaro Ham-Hams Unite coming out... it was developed by Nintendo... it's even listed in the History thing on Brawl. I really really liked that game. It was the first game I ever bought with my own money. This is literally half the reason I want a 3DS. The GBC was my first system ever and I can't wait to relieve the glory days with titles like Super Mario Land (which was ironically my first GBC game), Link's Awakening of course, Donkey Kong Land, Kirby's Block Ball, etc, etc. @PunnyGuy I'm with you on the other systems. And I hope they don't forget the GBA. It can't be that hard to emulate GBA on it. Didn't Nintendo said the name would be Virtual Handheld? Or was it just internet guessing? @Rapenzie: It was referred to as Virtual Console at the New York event. Isn't Hamtaro a licensed game? Oh Man. If the 3D effext is that good I'm gonna throw a lotta money into the Virtual handheld. I'll at least rebuy the Zeldas. If GBA comes Ill get Drill Dozer, Astro Boy Omega, Gunstar Super Heroes, MvDK, Fusion, Zero Mission, Ruby, Sapphire, Emerald, LG, FR, King of Swing, and Import Custom Robo GX, Mother 1 + 2, Mother 3, Rhythm Tengoku, Stafy 1-3, and so on. @5 That'd be sweet... except that they would have to ensure somehow that you could re-download certain home console games that you already purchased and downloaded on, say, the Wii. @9 Probably not going to happen, unless Nintendo has a plan to make prepaid cards for the 3DS eShop like Sony has with the PlayStation Network Store. @12 I'm particularly hoping for DK94, as I never really played that. @13 I hope so as well, because the VC has been sort of lame recently. The best game that came out recently was Mario Party 2, and even that one I played to death before, LOL. @14 From the Super Mario Land video I saw from Nintendo World Report, it looked almost identical in resolution to the original GB. Not sure what you're talking about there. @15 See above, I think Nintendo will have to take a look at prepaid cards for a certain value, much like Sony has with their PlayStation Network Store. @17 I am also extremely hyped about the 3DS VC! I really appreciate that they put the thought and effort into it and decided not to screw it up badly like they did with the Wii VC, where there was a great amount of games at first and then it tapered off to a mere trickle when WiiWare came about, and we got maybe one VC game per week if we were lucky, once every month if not. @19 I always liked the shmup levels (specifically the sub level, the only one I could get to without eliciting the infamous "GAME OVER" noise). @21 Heck, if Nintendo actually prices them wisely (and NOT try to jack us for the privilege), I'll buy them all, no matter if I've played them to death or not. @22 I have absolutely no hope for the kinds of games I'd like to see on the 3DS's Virtual Console: the Capcom-Disney games for GB, Snoopy Magic Show, and the LJN games, as crappy as they were, along with many of the licensed titles that came out for the system, which I know for a fact that many GB players remember playing MORE than the original IPS on the system. @23 For me, it's 3/4 of the reason. The 3DS games that are slated to be coming out, like Blazblue: Continuum Shift II, Kid Icarus Uprising, and Super Street Fighter IV 3D Edition, are just the icing on the delicious cake that is the 3DS. The second Pokemon Red or Blue land on the service, I'll buy it right away. The original Game Boy's resolution is much smaller than what the 3DS's top screen is capable of, so the image has been stretched to fit vertically. As a result, it's noticeably blurry but certainly not unplayable. It's tough to judge from a video, but in person it's very apparent. 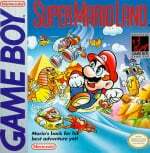 Super Mario Land is Awesome! Yeah...I remember you bringing that up. There's no question I'll be disappointed by blurry/awkwardly re-ratio'd games...and yet it's still a selling point for me, and probably where most of my 3DS gaming will take place. I do hope at some point we'll get a better way to experience these old classics, but for now...I'm willing to settle. Meh, it can't be any harder to see games on the 3DS than on the original tiny brick screen. Hopefully they'll give users some ratio options, but this is still the biggest reason I want the 3DS. I'm still afraid that DS games will be blurry on the 3DS due to scaling. Either that, or they will be the original resolution - which means the viewport will be 20% smaller than it was on the DS. Either way, it's a serious downgrade and I don' think the games would be enjoyable. Nintendo hasn't addressed this yet (as far as I know), and that worries me. (1) 3DS has a screen resolution of 400 * 240 pixels. (2) GameBoy has a resolution of 160 * 144 pixels. Stick with the original GB resolution of 160*144 by centering the produced image on the 400*240 screen => Stamp picture will be the result. And the image will appear even smaller than on a GameBoy Advance. Double all pixels of the original 160*144 GB screen (requireing 320*288 pixels on the 3DS) and cut off 48 vertical pixels. Opt for , but shrink the height to fit into 240 pixels => every 48/288th pixel will be shrinked. Conclusion: there simply IS NO proper way to transform the orignal GB screen resolution onto the 3DS resolution without sacrifying some aesthetical aspects. And this in turn should be a NO-GO for quite any GB purist. For the record: This is my personal 4th reason to not buy a 3DS. crazy option A: Sprite following plus lower screen - There are a few emulators out there that deal with scaling issues of this sort by zooming the screen to 2x, cutting off part of the view, then following the main sprite. It actually works pretty well, since most games have a primary sprite which can be referenced and centered at all times, allowing the zoomed view to smoothly follow. Now, my problem with sprite following is that you don't get to see everything at once, but they could correct this by having the full view (blurrily scaled) on the bottom screen. It's a best-of-both-worlds approach that could work very well for certain titles. crazy option B: 3D depth - It's hard to picture exactly how this would look, but by playing with the 3D depth of the Game Boy display (ie., making it hover like a card an inch behind or in front of the screen), they can play with a different kind of scaling, for your eyes tend to correct and fill in the pixel data in a different way when it's stereoscopic (which is why hands-on impressions of the 3DS say that the games look perfectly crisp / anti-aliased in 3D while they don't in screenshots). Finding the right depth would be the trick, and it still wouldn't be perfect. @Jon_Wahlgren: Thanks. I heard (read) somewhere Virtual Handheld and thought it was going to be the name. I like it better than Virtual Console (can be confusing sometimes) but that's ok. Anyone know Kirby's Tilt n' Tumble for GBC? The 3DS has motion sensing, so it should be able to play that game. If they f**k this up, I'm gonna be ticked off. And that isn't a pretty sight. So I haven't been faithfully following the news, but have GBA games been confirmed for 3DS VC? No, GBA games have not been confirmed for 3DS VC. I hope they get the prices on these right. I really can't see paying $5 for original GB games. Additionally, I really don't understand why they aren't putting GBA games on the service. Hopefully they will at some point in the near future. That main-sprite-following thing is quite a cool idea. The tricky part (for them at N) would be to identity what the real main sprite is, which in turn asks for game-specific hacks. And some games may even be too hard to keep track of the main sprite when the original programmers were keen enough to write their engines in a "too" flexible way those days. I wonder whether they're gonna consult those programmers for their support to tackle that issue. On the software-side they'd have been way better off if the hardware engineers had designed a true "multiple-of-160*144"-screen. No doubt about that. Being a casual Nintendo gamer, I'm looking forward to playing all these classic Nintendo games for the 1st time. Nintendo 3DS FTW! Is 3DS going to be the release name for it? All we know the VC in 3DS won´t have new features as 3D or other things. They do a promise on Wii to give classics with new control features and never they do that. I don´t expect they put effort to the rom ports on 3DS. Looking forward to GBA VC with the Metroid games! I'm with you Kid_A, changing to the native resolution needs to be a feature of the Virtual Handheld. I'm not a fan of these stretched-out game displays. Wouldn't it just make sense to get a GBA and the original cartridges? I have yet to use a handheld that I feel is comfortable for extended play from a physical perspective besides the original Game Boy. I'd prefer the original sized screen over changed aspect ratios or some cut-off/shrunk pixels. @54 I'm hoping for that too like when you put a GB game in a GBC or GBA. "a beacon of missed potential", probably just like the 3DS. If you can't choose to play these games at their original resolutions then that is absolute fail imo. Can't wait to try out some of the classics I never got to play. Please don't make it blurry, Nintendo... COME ON! Won't be throwing away my GBC, SP or Micro then...not that I ever had any plans to do so. Nothing beats playing on the original hardware. As with the Wii VC it looks as though Nintendo is trying to get away with simply making the minimal required effort and churning out another overpriced ROM-factory. It hasn't learned at all what people want and is clearly expecting the consumer to lap it up all over again. I think it's in for a rude awakening. Yay, I've never really gotten a chance to play any old gameboy games, so this will be fun! @ 11 Can't be any harder than using the Dpad on the Gamecube controller. I took my DSi and tried enacting it, and it's not really that bad, and I've got medium length fingers, so... I dunno, guess I'll see when I get my hands on a 3DS. I'd wager they'll sort out the resolution....I hope so at least. Then again, I have always wanted a GB Micro. GB and GBC games!! But, I hope for GBA games. This service is completely lame until they add GBA games. Man, so much negativity! They'll figure out the best way to solve the resolution issues, and we'll deal with it. This whole service isn't even required, you know... there was no obligation on the Big N's part to make their past handheld games available for download. So however they make that happen, it's all a bonus. If you want the pure, real deal, play on your GB or GBA that you should have kept, or buy one on eBay. Sheesh. I just hope the eShop is available in the US at launch (with an upgrade). As long as everything is still recognizable, I'm good. But an option to switch back to the original resolution would be nice. I'm pretty sure the GBA games will come later, just like how the VC slowly added other consoles. In fact, I'm anticipating that Game Gear, Nomad, Lynx, Virtual Boy, and Wonderswan (et al) will come in time too... there's ALOT of handheld back-catalog out there just waiting to be re-released. Why don't they just letcha swap the screens! Finally! I can complete my collection of kirby games! Pretty sure the 3DS VC and Wii VC are completely separate services, Wolfenstein83. Transferring between the two will be impossible. No mention of GBA games? ...and the monochrome edition of Link's Awakening better be available too. The more I read about it, the less I'm wanting a 3DS. But I will wait until I can get my hands, & eyes on the actual hardware to judge. Things is, in stores, it's gonna be tough to judge, w/ only so few minutes of hands-on. I'm keeping my regular DS with me to my grave. Not sure exactly what you mean by "blurred" and/or "stretched" as from what I've seen in screenshots and videos they appear fine? as long as they are proportionate then I'm happy which looks so . The original size as an option would be great but I would prefer it to make use of the extra space. 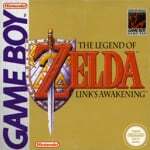 Yep both Super Mario Land and The Legend of Zelda: Link's Awakening are remarkable!! did play them back in the day . Whether the scaled graphics are anti-aliased or not does not worry me, I'm actually a fan of the whole pixelated look .